Les Paul or Strat, even with effects board between guitar and UA Twin, the Chandler handles it all with ease and great tone. I rarely use a wah, but had an order for slide/wah fills for a group of songwriters. Was going to use traditional set up, but thought of running LP through wah, then to UA Twin, Chandler; very nice result. From clean chicken pickin' to wall of sound overdrive, I think this will become my go-to solution. This plug-in is very nice but you need to look into it and spend some time doing your own presets depending on what guitars you are using. Like a good album, this amp emulation took a little while to get used to and to find that sweetness from. You really have to tweak around to get what you want from it. All in all, a fine sounding amp from an emulation. You want the real thing, record it. You want something in the ballpark to get some cool sounds quick, this is the answer. I really dig this emulation of the coveted Chandler amp. You do need to play around with the input and levels to get that particular sound, but after that it is a really fun thing to play with. The LoFi reverb sold it! I was looking for a guitar amp plugin that gave me something a little different. Once I recorded a few lines and started messing with the controls, I found I could get anything from classic VOX/Fender/Marshall vibes to more contemporary hi gain models with just a few moves of the mouse. The LoFi delay made the axe thick without being too obvious. Start at 0 and it sounds like you'd expect - an exact copy (or copies) of your line. Move the value up and it changes the tone dramatically. The thickness is still there, but the line becomes muted in the delay. Not so obvious it is there anymore, but it still thickens the part up! A unique sound that sits well in the mix with multiple parts. Well done. This plugin is one of my favorites. It sounds fantastics. Please don't expect a high gain amp for heavy metal. But you will get a fantastic amp simulation for rock or blues music. Only the presets are fantastic and if you play a little bit around heaven will open for a superb clean and crunchy tone and an unbelievable nice solo sound. I have tested it with my start and with my tele and with the Les Paul I own and all three guitars sound great in combination with the chandler. So I can highly recommend this plugin. Now Where Do I Get the Footswitch? I have just tried the demo for a few days and I feel that the tone is very muddy. And with the few options that exist I can't get it to open up. And this has to do with the speaker sim in my opinion. They all sound quite the same. And the fact that it's all only in mono is a huge drawback when you compare it to other software guitar amps. When you do a comparison to others, make sure that they're also in mono, or else everything will sound better and fuller. I find nothing wrong with the amp itself, except that's impossible to produce a clean sound. And a spring reverb should be installed. Much more useful then a gate. With my tele the halfdistorted and full distorted settings sounds very good, but do something about the speakers. Update? Search for perfect amp sim is done! The Chandler plugin finally ended my search for a great amp simulator. I have tried many different programs and this one fits all my needs. The drive gives my guitar the right sounding boost and breaks up very nicely. When I used the chandler with the ocean way studio the amp sounds like its in a real studio environment. i also like the differnt cab and microphone setups. I am very pleased and thanks for the coupons guys. i have been a UAD user for years and I will keep on supporting you guys and your amazing products. I own a few different GTR amp plugs and I feel this one really has a great sound. IT is very flexible with clean and dirty sounds. the effects are pretty nice. the one negative for me would be nice to have a simple reverb in addition to the delay. still it's pretty nice to have. I recommend it. I was trying out the engl amps and was thinking "this is pretty decent for a emu". Then I decided to try out the Chandler. Night and day! The tone is just SO much more open and real amp sounding than the engls. This is the first time I have felt so good playing through a plug, it actually reminded me of when I used to have a marshal tsl 1000 and jcm900 cab (the sound of it recorded that is... not the feeling of standing infront of the beast). To those saying it's 1 dimensional garbage, I think you need to realize that you need to add some of your own fx and compression after the amp to give it some depth and width. It's emulating the sound of one mic in front of 1 cab, and IMHO it's the best out there if you aren't doing metal. Clean too! I really was excited about getting this amp and I was not disappointed at all. Great sound and so many features. Sounds great as a second amp in the rig with a ENGL. However after reading comments about the Scuffham Amp sim I tried it and bought immediately. It was 100.00 less than the Chandler and FAR more flexible with a ton of headroom. I've got the ENGL amps but this one is really something. It is the most authentic amp simulation I ever heard (played the real one on Musikmesse, but not to much to compare that but to ask if it sounds like a real amp). The way one can control how driven the sound is simply by playing reminds me of my brothers Bogner Ecstasy Anniversary. This made me want to play more and buy me a new guitar. Although I like its character most of the time I sometimes wish I could dial down the vintage sounds it (ever so slightly) produces in every note. I have my own studio which is full of beautiful vintage amps(1969 plexi marshalls,71 Hiwatt,Blackface Super Reverbs,Tremolux,57 Tweed Deluxe,Diezel etc...). Also with this system I was able to A/B between my fantastic sounding set up an the Chandler GAV19T emulation!!! !I am thrilled the way the set up oozes and breathes tube sound w/o having any!!!!! !Pick attack and amplitude very musically determines the amount of drive and grit. I even put vocals through the amp for a "portishead-ish" sound!! !I luuurve it!!!! The Chandler is smooth! I found I could just dig in a sound without too much madness lots of chew but under control. Everyone should try it. I love it! Really Sound Like a True Tube Amplifier...Sounds just Great..!! This is probably my favorite Amp simulator I have and I have them all. The only thing that is equal to this is my AxeFX II. The CPU usage on the Apollo is quite high though. I found the presets a great place to start, but the real charm to this beautiful amp is in the tweaking! I found myself pulling guitar after guitar off the wall in the studio and found this amp brings out new and exciting things from guitars that I haven't heard before. This is a very retro sound. Americana / Bluesy sound up to and including a very cool growl! The recording chains are very good and bring out another layer of goodness to the tone you have to sit up in a mix and say HELL YEA! This is a studio workhorse that offers a completely different sound set from the Engl amps, which also kill me. Brainworks have created something with these guitar amp pluggo's that smoke the competition. This amp plugin takes some tweaking, but with an echoplex in front and about 3 hours of initial learning curve, you can make this sound very realistic and useable. Don't get turned off on first use as you can make this plugin sound horrible. It's very versatile and takes a bit of your time to dial it in. I have a Vox AC30 and Friedman Brown Eye as my main amps and this thing leans definetly more towards the EL84 based mid gain Voxy more than Marshally sound. Highly recommended. I purchased without a coupon and don't regret it a bit! And I don't really care for amp plugins! I'd rather turn my amp down to nothing and crank a mic pre, but this plugin will change my late night recording methods fer sure! 4 out of 5 ! 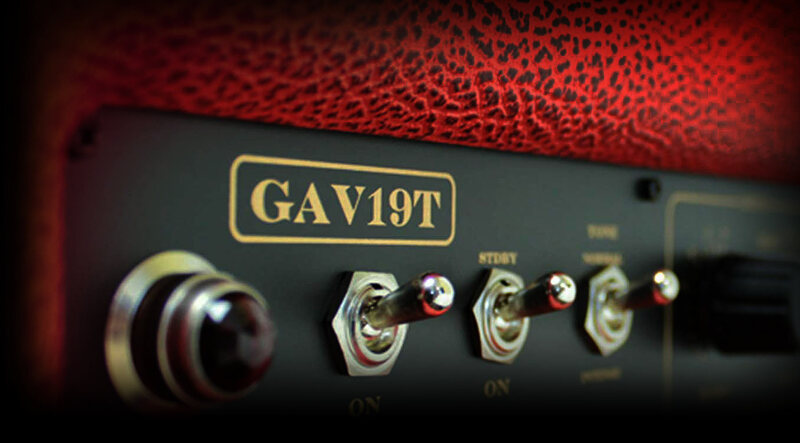 Much better than the other guitar amp emulations. Just pure tone that makes you want to play. I don't particularly like the way they have done the presets. Had to to find what you really want. Sometimes I just want to change the cab -- not the entire recording chaining.